Enjoy this magical fall season, FALL(ing) in love..
[PROMO] price! -50% only 499 L$! First release of the new LostAngel Halloween Collection of multiposes and props! Great for landscaping and halloween emo-dark mood modeling photoshots and ads. 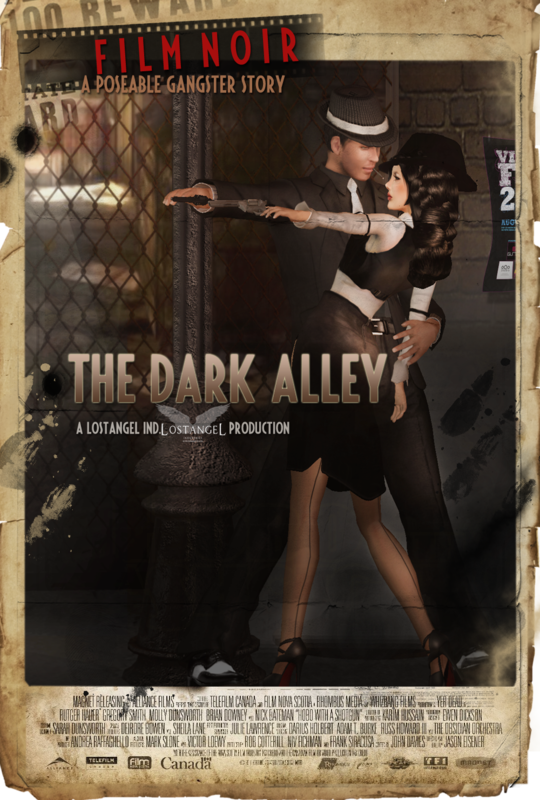 “The Dark Alley” scene – with 7 couple poses! Touch the STREET LAMP to activate the multipose. Sit on poseballs, switch off your AO and accept the animation request. Change poses using the menu. 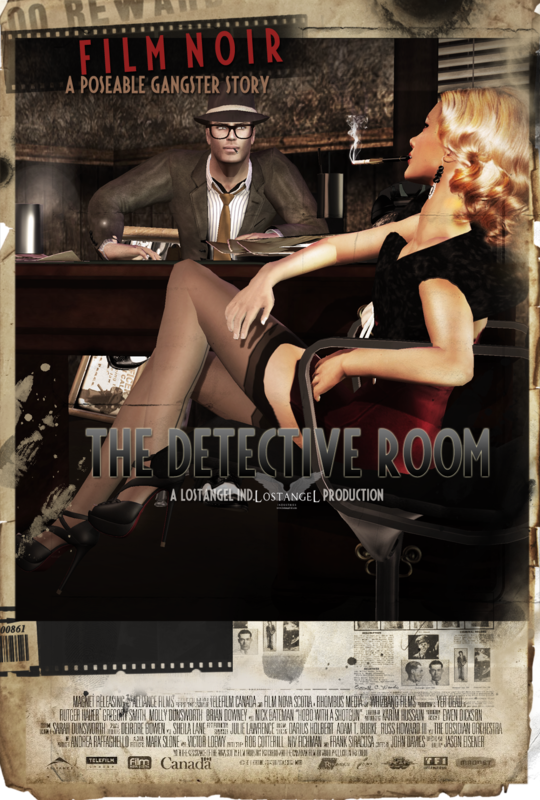 the “Detective Room” with 7 couple poses! 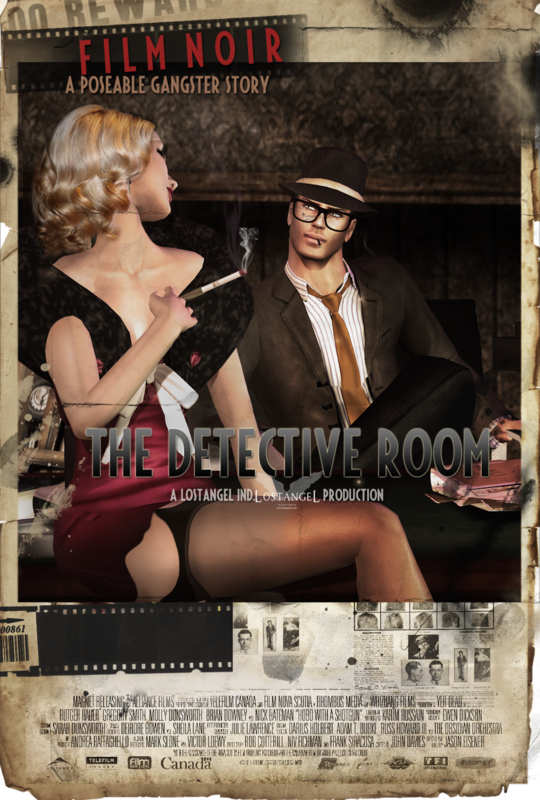 [INCLUDED] The complete Detective Room scene, with lot of accessories and props! Only at Vintage Fair from August 4th. Debut of the serie of minimal props multiposes with editorial poses showcasing shoes, clothes, hair, jewelry. 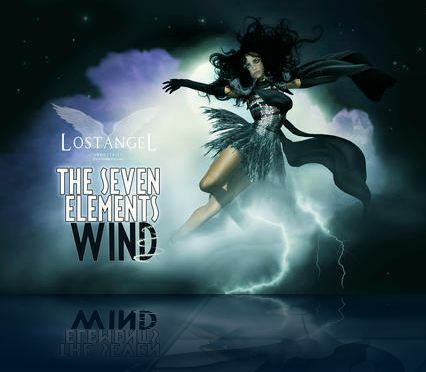 The 4th of the Seven Elements has been released: is Wind (Air). Pose in a stormy cloud prop with lightnings and 10 evocative windy poses options. Feel the power of wind…. Accessories included. Copy and Mod. A new Terminal system has been placed at the sim, to help you to explore and find what you need. Gates and mysterious doors that link every part of the sim has been placed to make your shopping experience unique and funny. Is good to get lost in LostAngel! But if you are in a hurry the Teleport system, located in every room will help you to reach immediately what you need. Posing with a neon tub, playing with settings to create great lighting effects! that’s why you can simply move, adjust and resize everything on the scene to better fit your shape. You can easily adjust the poses using the menu. Just touch the tub to start the multipose!